You. The road. Nothing else. That's the definition of pure riding. 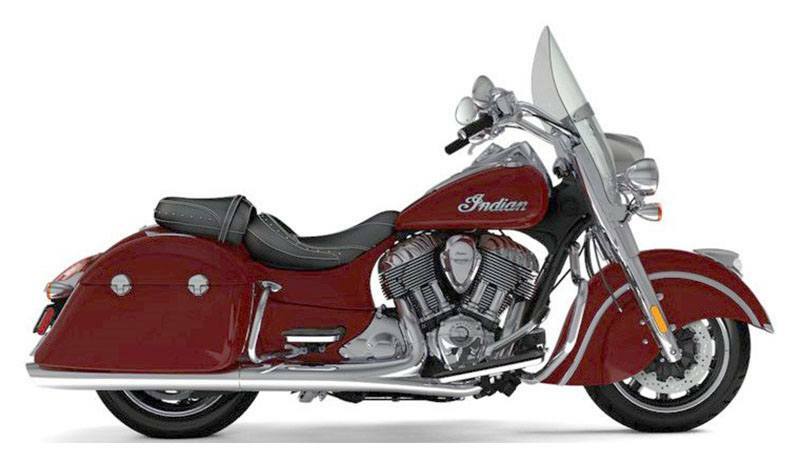 And that's exactly what you get with the Indian Springfield™, along with features like a keyless ignition. Quick-release windshield. 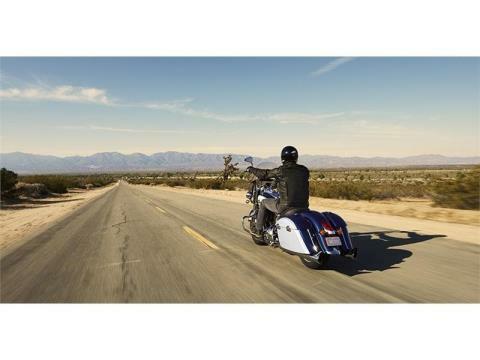 And remote-locking saddlebags. Want more? Add a premium audio system, should you ever want a new soundtrack to go with the satisfying rumble of your Thunder Stroke® 111 engine. Be legendary. 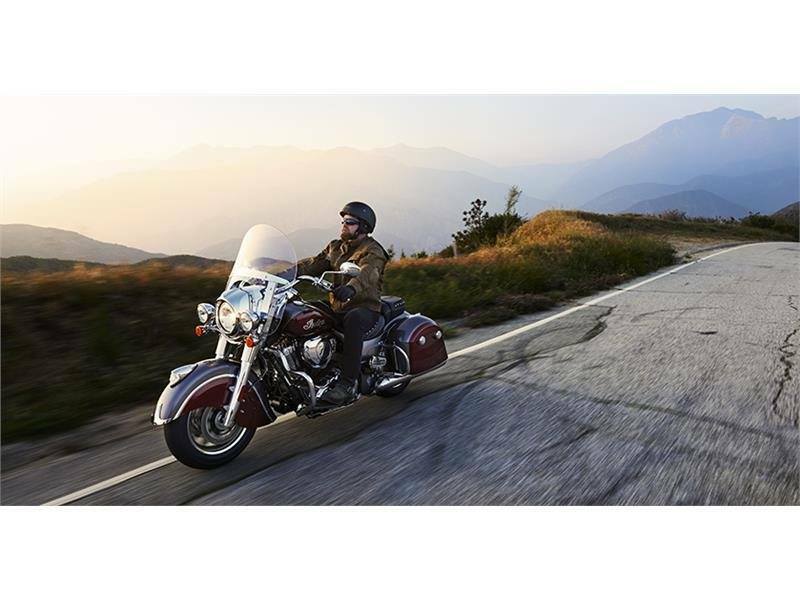 TRUNK-COMPATIBLE TOURING CHASSIS: The Indian Springfield™ is equipped with the most essential touring features, including a trunk-compatible chassis that allows enhanced passenger comfort and extra storage. REMOTE-LOCKABLE HARD SADDLEBAGS: Your cargo is protected inside convenient, spacious hard saddlebags with weatherproof seals. You can even lock them remotely using a console-mounted button, or via the bike’s key fob. 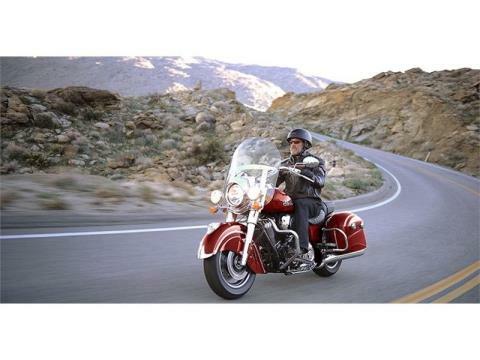 HERITAGE-INSPIRED POWERPLANT: Designed from the ground up, the Thunder Stroke® 111 is a powerful engine with premium performance that’s experienced through heritage-inspired features. These design cues were taken from the Power Plus motor of the 1940’s: Multi-directional finned value covers. Downward firing exhaust. Large, parallel push-rod tubes. Organic, asymmetric fin styling. Right-hand drive. Right-hand cam cover. Classic 2/3 head-to-cylinder neck down. ALL-NEW CHASSIS DESIGN: A unique chassis with a 25 inches rake delivers unmatched handling and balance, even when fully loaded. Without the added weight of a fairing, the Indian Springfield™ can carve corners like no other bike in its class. DRIVING LIGHTS: With standard front driving lights, the Indian Springfield™ illuminates the road for safe riding, day or night. 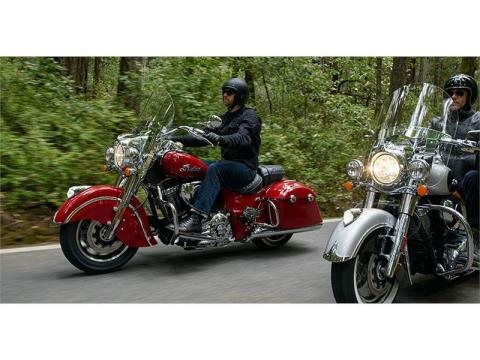 CHROME HEADDRESS: The most powerful icon in motorcycling. 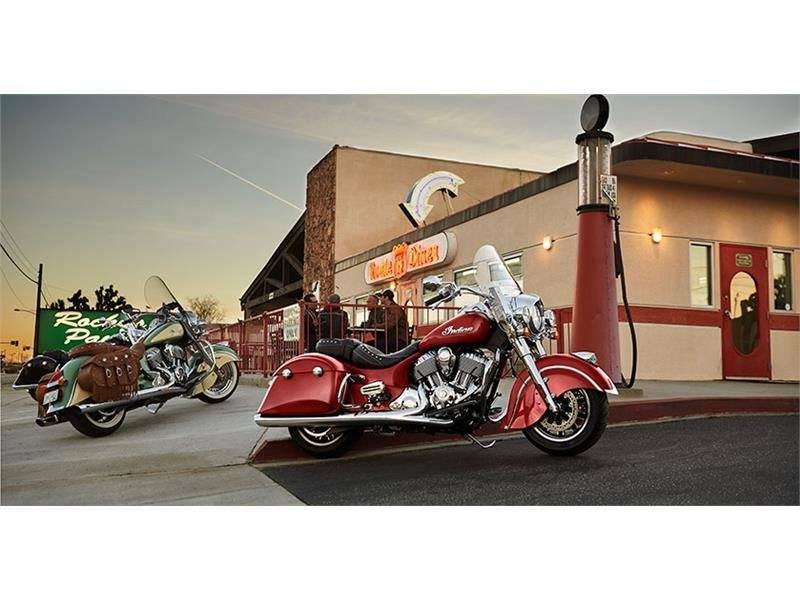 Since 1947, the illuminated headdress has graced the front fender of nearly every Indian Motorcycle®, guiding the way from legend to legend. QUICK-RELEASE WINDSHIELD: This stylish windshield provides outstanding wind and weather protection to make every ride more comfortable. With Quick Release technology, it can be installed or removed in less than a minute with no tools. 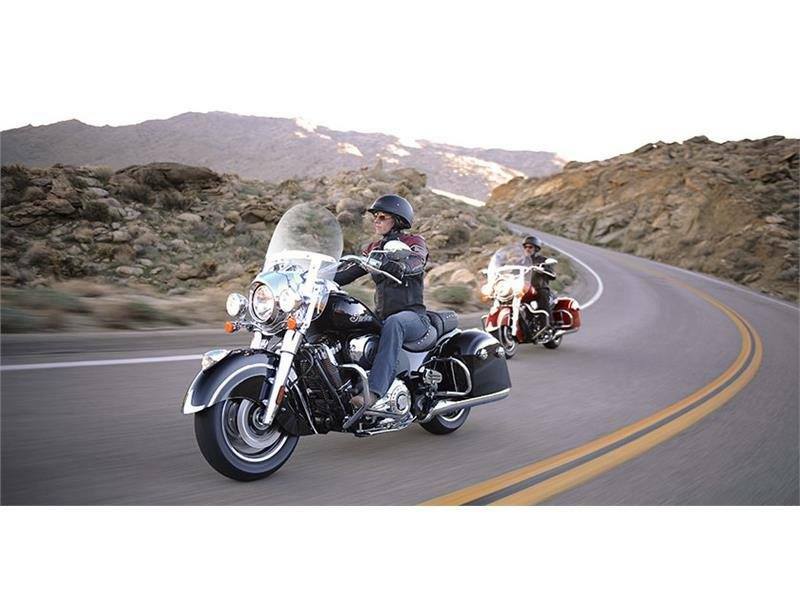 INTERNALLY WIRED HANDLEBARS: This high-profile area features all-chrome hand controls. 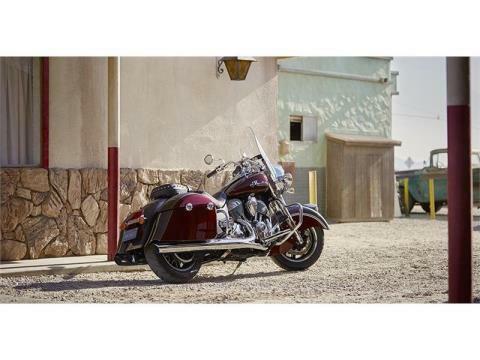 Plus, all of the wiring is routed inside the handlebars for clean , premium-quality look. CHROME HAND CONTROLS: Chrome is the new standard, and you’ll find it from end to end on the Indian Springfield™. MODERN YET TIMELESS INSTRUMENTS: We brought this heritage-inspired instrument panel into the 21st century, while maintaining its timeless style. PREMIUM GENUINE LEATHER: The cushioned, two-up seat features premium grade genuine leather designed to withstand the elements and retain its natural beauty. Unique to Springfield, stud and stitch details complete the look. INDIAN MOTORCYCLE® BAGGING: The logos and branding on this bike are powerful, stylish and iconic. No other brand has such legendary identification. For over 115 years, Indian Motorcycle® has stood for the ultimate in power, performance and style. CAST ALUMINUM FRAME: This cast aluminum frame is lightweight yet exceptionally strong, providing excellent low speed handling, and confidence-inspiring stability on the highway. CHROME HIGHWAY BARS: Chrome front and rear highway bars provide premium-quality style and protection that can be accessorized with leather wraps or highway pegs.